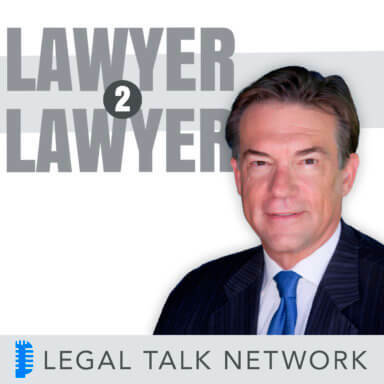 On this edition of Lawyer2Lawyer, hosts Bob Ambrogi and J. Craig Williams speak with ABA President James Silkenat, on his first day in office, about his goals and initiatives for the ABA agenda. James Silkenat has been working in international law for more than forty years. He joined the ABA’s first delegation to China in the mid-1970s and since then has chaired the International Law Section. He is a member of the Council on Foreign Relations and of the American Law Institute, and has served as a Fellow in the U.S. State Department Scholar/Diplomat Program. As well as numerous other positions in and outside of the ABA, he will now serve as the president of the nation’s largest legal organization. Silkenat will discuss his major platform goals for his presidency, including the legal education financing system and student debt, a legal job corps, the ABA’s stance on gun violence, and more.